Having a higher income or education than your partner could be risky, as a higher socio-economic status than ones partner increases the chance of psychological violence and abuse. This applies to both men and women. New research on violence and relationships does not support the stereotypical pattern of strong men in powerful positions who abuse their weaker, female partner. “Whenever power is unevenly allocated in a relationship the chance of physical and psychological abuse increases. And the abused partner is the one with the highest status,” says sociologist Heidi Fischer Bjelland. According to the sociologist this applies both to men and women. 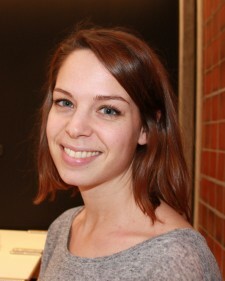 Bjelland is a PhD student at The Norwegian Police University College and she has previously carried out research on intimate partner violence in Norway. In her article En voldsom maktbalanse? En studie av relativ makt og forekomst av partnervold (“A fierce power balance? A study of relative power and intimate partner violence”), Bjelland presents her analysis of a survey carried out by Statistics Norway in 2003/2004. Bjelland has examined survey replies from 1640 men and 1791 women who live with their partners. The participants have answered questions relating to whether they have experienced physical partner violence such as strangling and flat hand slapping, and psychological abuse such as threats of physical violence, jealous behaviour and freedom restriction. “Their risk of experiencing both physical and psychological violence increases with the difference in income,” says Bjelland. The figures from the study shows that women earning more than 67 per cent of the total household income have an almost seven times bigger risk of experiencing psychological and physical abuse – so-called double violence – from their partner compared to women who earn less than 33 per cent of the total household income. Moreover, women with considerably higher education than their partner have an increased risk of experiencing both physical and psychological abuse. The study challenges previous research which has concluded that a high socio-economic status decreases the risk of experiencing intimate partner violence. “My study shows that high income or education works as protection against acts of violence only as far as the income and education does not exceed that of the partner,” says Bjelland. The study shows that men with a higher income or education than their partner have an increased risk of experiencing psychological abuse and control. However, men do not face the same risk of experiencing physical abuse. “Previous studies have looked primarily at physical abuse. They have also included some types of psychological violence such as control and threats of physical violence, but they have not distinguished these psychological acts of violence as a category in itself. When I distinguish between psychological and physical acts of violence, the psychological factor is becoming much clearer and the results become more nuanced,” says the researcher. She emphasises the Norwegian gender equality as a possible explanation. According to Bjelland, previous studies of intimate partner violence have often excluded men from the data material. Bjelland’s study shows the abuse primarily affects the person in the relationship with the most power defining resources such as income and education. This applies to both men and women. “This implies that intimate partner violence may be all about trying to change the power balance,” claims the sociologist. She believes that much of the intimate partner violence is a type of contrapower strategy towards a stronger partner. Such power strategies are often referred to in sociology as conscious tactics. Bjelland is not convinced that these strategies are as premeditated as the theory implies. Jealousy or traditional gender roles? The most frequent type of psychological abuse or partner violence in the survey had to do with the partner wanting to know where the other part is, who they’re with and when they’re due back home. The second most common type was jealous behavior and attempts to restrict the other part’s social interaction with friends and family. “There is no clear answer to that. But this does not have to do with everyday random questions about where someone has been. When the interviewees describe their partners as being inquisitive regarding these things, it is reasonable to assume that it is a type of violation and an attempt to restrict the partner’s freedom. This is a common way of identifying psychological violence in studies on intimate partner violence,” says Bjelland. Different mechanisms generate different types of violence. Bjelland regards jealousy, the fear of losing one’s partner and contrapower strategies as possible explanations to much of the psychological power abuse and control in relationships. According to Bjelland, another explanation may be stress and frustration related to society’s views on masculinity and femininity, and the feeling of not being able to live up to expectations related to traditional gender roles. This has been described in previous research on violence, and Bjelland points to this as one possible explanation to the double violence which women are more exposed to if they have higher status than their partner. “Men with lower status than their partner may feel that they are not living up to the traditional gender role. This may cause stress and frustration which again may lead to escalating conflicts which end in physical violence towards their partner”, says Bjelland. Bjelland believes that the physical violence in many of these cases revolves around situational conflicts and outbursts caused by anger and frustration rather than conscious power strategies. One of the finds in the study is that women with the same status as their partner more often experience intimate partner violence than women with lower status. Bjelland believes this may indicate that also having the same status may be perceived by some as conflicting with traditional gender roles in relationships. “This find should, on the other hand, be analysed with special care, since the data material is scarce,” Bjelland underlines. According to Bjelland the Norwegiann research on violence has focused on finding explanations to violence on an individual basis, and it has particularly focused on the woman. Although this research has been necessary, Bjelland wishes to focus more on the relational aspects of intimate partner violence in the future. Since the relationship is a part of a society, the sociologist is also of the opinion that one has to examine the violence in light of society’s gender and power structures. “It is important to always keep this context in mind,” emphasises Bjelland. Heidi Fischer Bjelland has a degree in sociology from the University of Oslo. She has previously worked as a research assistant at the University of Oslo and at the Norwegian Police University College. From 2014, Bjelland is working as a PhD research fellow at the Norwegian Police University College where she examines the Norwegian police’ work against human trafficking, and undesirable behaviour towards government officials. The article En voldsom maktbalanse? En studie av relativ makt og forekomst av partnervold (“A fierce power balance? A study of relative power and intimate partner violence”) was published in Sosiologisk Tidsskrift (“Journal of Sociology”), no. 1, 2014. It is based on Bjelland’s master thesis Den voldsomme balansen. En kvantitativ studie av betydningen av relativ makt for forekomsten av partnervold (“The fierce balance. A quantitative study of the significance of relative power on the ccurrence of intimate partner violence”). The data used in the thesis are taken from a survey carried out by Statistics Norway in 2003/2004 in co-operation with Norwegian Institute for Urban and Regional Research (NIBR). The survey was sent to 7700 individuals. 4618 people responded (59,4 per cent). Among the respondents, 1640 men and 1791 women were living with a partner, and these 3431 responses constitute the data material for Bjelland’s research.